Find Pawleys Island, SC Homes for sale. View Photos, Maps and MLS Data Now! Square footage is approximate and not guaranteed. Buyer is responsible for verification. MLS#1909195. North Litchfield Beach - Seller is SC Real Estate Agent MLS#1909145. This home has a fresh and up to date look throughout and is a great opportunity to live near the SC Coast. Schedule a showing soon. MLS#1909131. Partner is a S.C. licensed Realtor. MLS#1909181. Oak Lea - This home is sure to be a must see! MLS#1909102. This is very much a favorite design with its open design and entertaining zones! MLS#1909090. Bridges Of Litchfield - This new home boasts some extra details and will be on top of your list. Check it out today! MLS#1909061. Magnolia Beach West - HOA provides lawn maintenance. Long term rentals only. MLS#1908983. Birds Nest - Home is being offered fully furnished. MLS#1908903. Hagley Estates - Fourth bedroom and bath are located on first floor level with exterior doorway for private access. MLS#1908895. 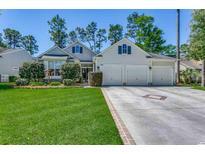 The Enclave - This home is perfect for the Pawleys beach bum that does't want to pay the high prices on Pawleys Island! MLS#1908917. Square footage is approximate and not guaranteed. Buyer is responsible for verification. MLS#1908824. Hagley Estates - Located in the heart of Pawley's Island. MLS#1908794. The gorgeous community clubhouse is rentable for neighborhood members. MLS#1908783. Because of its resources, the island is regularly visited by naturalists, planters, archaeologists and geologists. MLS#1908806. Buyers to verify all costs and governing documents associated with the HOAs as well as all square footage and all measurements. MLS#1908725. 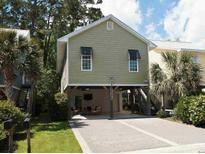 The Enclave - This home is perfect for the Pawleys beach bum that does't want to pay the high prices on Pawleys Island! MLS#1908710. Hagley Estates - Outdoor Lovers Paradise! Will not last long. MLS#1908749. Waverly - The beautiful yard is pet friendly with a brand new invisible fence. MLS#1908613. It is on The Founder's Club Golf Course in Hagley Estates and located on a quiet cul-de-sac. A great fixer upper. MLS#1908588. This home is conveniently located near the Willbrook back gate perfect for easy access to the beautiful community bike path to the library, beach and restaurants. MLS#1908498. Myrtle Beach International Airport is about 30 minutes away. MLS#1908532. 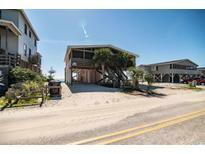 This home is perfect for the Pawleys beach bum that does't want to pay the high prices on Pawleys Island! Call Today MLS#1908507. Pawleys Retreat - This home is just moments away from all that Pawleys Island has to offer; golf, tennis, restaurants and best of all; the beaches of Pawleys Island and Litchfield! MLS#1908546. Because with this property comes a membership! MLS#1908489.